The Bateman Suite is located on the ground floor with access direct from the outside into a communal entrance hall. 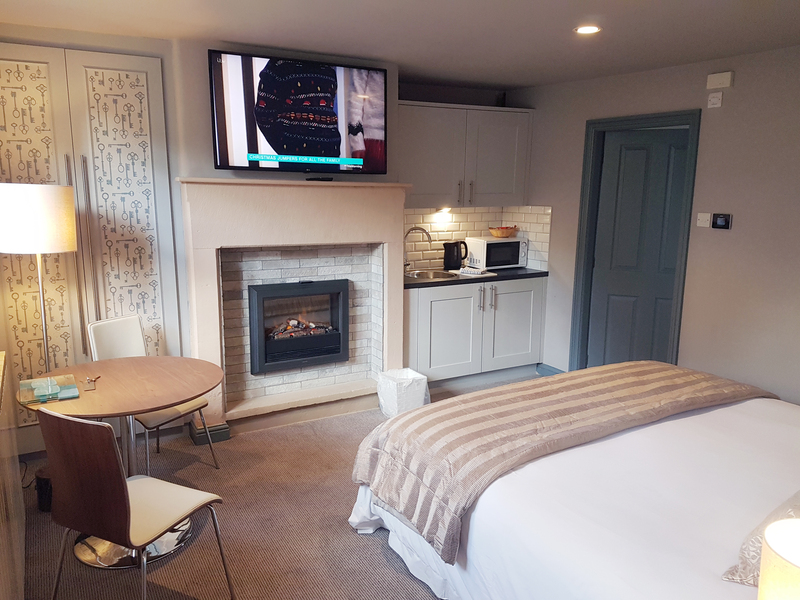 It features a super-king-size bed with suede bedhead, a feature fireplace with electric flame-effect fire and a 49-inch flat screen TV above the fireplace. A kitchenette with fridge, microwave, round bowl sink, kettle and toaster. Dining area with round table and two leather covered chairs, and all crockery, cutlery and glassware provided. 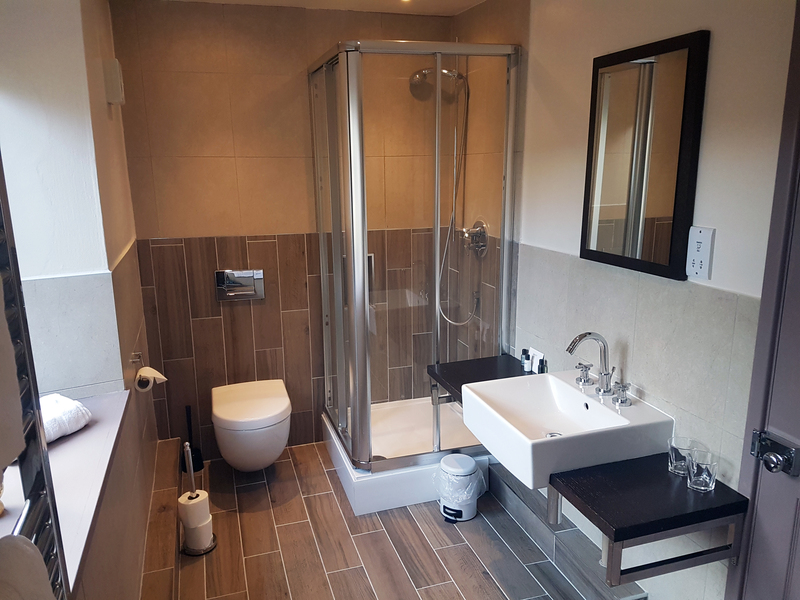 An en-suite bathroom with double ended bath, separate corner shower, WC and vanity basin, heated towel rail and underfloor heating. A very private corner of this historic hall which also includes a landscaped courtyard patio area for summer dining. There is a two-night minimum stay required for all rooms Friday and Saturday.